PITTSBURGH, PA – The Pittsburgh Forge, the city’s newest and largest rugby club, is pleased to announce that Stephen Walsh has been hired as the Head Coach for the men’s XV’s program beginning in August 2018. Steve has over twenty five (25) years of playing experience at all levels and disciplines of rugby including several years as a professional player. Steve’s playing career began at the age of 5 when he played on youth sides for Our Lady of the Sacred Heart and Marcellin Junior/ High School sides in Sydney, Australia. In 1974, he toured New Zealand with the first team rugby union high school age side. From 1974 through 1976, Steve was the captain of the Brothers Rugby Club which was also a high school age side. In 1977, he began playing club rugby for Randwick Rugby Club, participating in two premierships and being coached by Bob Dwyer, the legendary Australian rugby union coach. Randwick DRUFC is an Australian rugby union club which competes in the Sydney premier grade rugby union competition. The club was formed in 1882 and since then has won thirty two (32) first grade premierships and six Australian club championships. It is one of the traditional powerhouses of the Shute Shield competition, winning fourteen (14) titles from 1978 to 1996. Steve began playing for the legendary South Sydney Rabbitohs, a professional Australian rugby league team based in Redfern, a suburb of Sydney in 1980. During his four seasons there, from 1980 – 1983, Steve made fifty eight (58) appearances while scoring twelve (12) tries and one hundred and six (106) points. Steve played in one finals match with the Rabbitohs during his rookie season of 1980. Steve continued his professional career in France, playing for Lyon OU in 1988 and finally served as a captain/coach for Anse XIII in 1989 before retiring from playing. 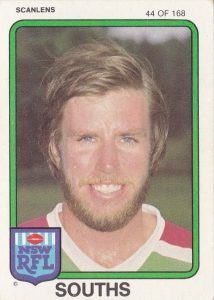 Steve Walsh’s official trading card while playing for the South Sydney Rabbitohs in 1981. Steve began coaching during his time with the South Sydney Rabbitohs as a coach for his home high school side at Macrellin. He coached there from 1980 until 1984 before moving up to the collegiate level, coaching St. Aloysius’ Rugby Club in Sydney from 1985 until 1987. From 1991 until 1994 and then again from 1997 to 1998, Steve coached St. Mary’s Cathedral College’s first team before returning to rugby leagues as a coach for the Alice Springs, a Division 1 side in 1999. In the early 2000’s, Steve moved to England were he became the coach of St. John Beaumont School’s second side before moving to Pittsburgh in the mid-2000’s. Once in Pittsburgh, Steve worked as the Head Coach for the Pittsburgh Harlequins from 2006 until 2012 and then the Pittsburgh Rugby Club from 2013 until 2016. Stephen is currently a USA Rugby Level 200 certified coach. 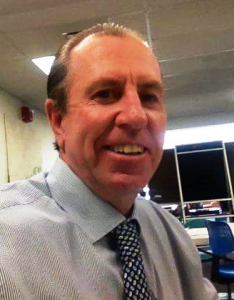 Professionally, Coach Walsh’s expertise lies in professional training and development with more than 30 years of experience in presenting educational and instructional training programs. Since the early 2000’s Stephen has worked as a training manager for a number of different companies. For the last several years, he has worked for Oxford Seminars as an instructor specializing in certifying students who are becoming English, English as a foreign language and English as second language instructors. Steve is also a certified personal trainer. Coach Walsh is extremely excited about Forge Men’s Head Coach and assisting the club in their goal to become the City’s premier club for senior men’s rugby. He looks to develop a competitive, high level first side that will compete for regional and national championships in the short term in addition to competitive second and third sides that will compete in their own right. Steve has also expressed a desire to assist the club in growing and cultivating the game in the City of Pittsburgh and regionally. Coach Walsh brings to the Forge his vast playing and coaching experiences in additional to a level of professionalism not seen by many amateur clubs in the United States. 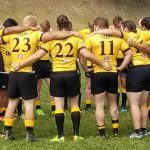 The Pittsburgh Forge’s Summer 7’s programming begins on Tuesday, May 22 at Phillip Murray Field near Pittsburgh’s Southside. Training will be held every Tuesday and Thursday evening in the City at 7:00 PM. The club’s XV’s season will begin in August 2018. Any interested men are strongly encouraged to contact the club at PGHForgeRugby@gmail.com. PITTSBURGH, PA – The Pittsburgh Forge, the city’s newest and largest rugby club, is pleased to announce that Jason Edall has been hired as the Head Coach for the women’s XV’s program beginning in August 2018. Jason has nearly 20 years of playing experience at the collegiate and senior club levels. Jason’s playing career began in 1998 while attending Slippery Rock University for his undergraduate degree in Athletic Training. There, Jason predominantly played in the backline. Upon graduation from SRU in 2002, he attended Salisbury University for his Master’s Degree and played in the backline there until 2004. After a short time away from playing, Jason joined the Westmoreland/ Pittsburgh Highlanders in 2008 and played all over the field for the Club for seven years before work took him across the state where he joined the Wilkes Barre Breakers for two years. Finally, upon his return to Pittsburgh in mid – 2017, he once again returned to the Highlanders as a part time player. In the midst of his playing career, Jason began coaching as an assistant for Salisbury University in August of 2005. While there, he also established and coached the Eastern Shore Sharks Rugby Club, a community based club that offered rugby to boys and girls ages 16 – 18. In 2014, while on staff as a professor at California University of Pennsylvania, he coached the women’s program until his employment moved him to Wilkes Barre, PA. There, he was on the staff for Kings College Men and Women, established collegiate programs at Marywood University and player/coached on his senior club side. In August 2017, upon returning to Pittsburgh, he was hired as the Head Coach of the Pittsburgh Highlander Women and was named the Allegheny Rugby Union’s Men’s Select Side Coach in February 2018. Jason is currently a USA Rugby Level 300 certified coach. Jason Edsall (center) playing for the Pittsburgh Highlanders in March 2015. 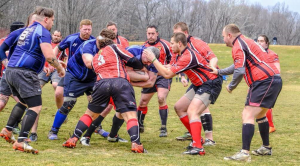 In addition to playing and coaching rugby, Jason also serves the area as a USA Rugby Level 200 certified referee and as the Treasurer of the Allegheny Rugby Union. Professionally, Jason has worked as both an athletic trainer and professor at a number of different college and universities.  In 1998, Jason began working on the medical staff for the Pennsylvania Special Olympics before becoming an Athletic Trainer at Slippery Rock University. In 2002, he worked as a Graduate Assistant Athletic Trainer while attending Salisbury University. That is also where he began his teaching career, instructing a course in Kinesiology as an Adjunct Professor in February 2004. Next, Jason spent three years in Maryland as the Head Athletic Trainer and Strength and Conditioning Coach at Snow Hill High School before returning to Salisbury University as an Adjunct Professor in 2006. Next, Jason then spent several years at Seton Hill University as an athletic trainer and strength and conditioning coach, while also working at SNAP Fitness as the Head Fitness Professional until 2015. 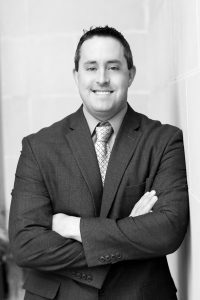 In 2012, he began working at California University of Pennsylvania where he instructed courses and served as an Athletic Trainer before moving to Scranton, PA and becoming the Director of Athletic Training Education at Marywood University. He also served as a professor there. 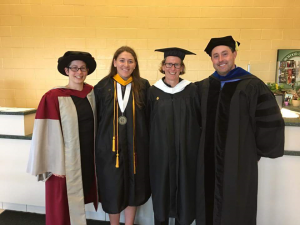 In 2016, Jason earned his PhD in Athletic Training from Rocky Mountain University of Health Professions and was able to move back to Pittsburgh in 2017. Jason Edsall (far right) graduating with his PhD from Rocky Mountain University of Health Professionals. Jason is currently the Program Director of Athletic Training and Exercise Science at Chatham University where is he also overseeing the development of a varsity men and women’s rugby program to begin in the fall of 2018. Although he has no interest in coaching that program once it’s established, Jason is tasked with finding great coaches to lead that program. This would be the third program that Jason has helped established during his time in rugby. Jason is extremely excited about joining the Forge coaching staff and assisting the club in the betterment of rugby in the City of Pittsburgh. He looks to cultivate a competitive women’s side that will compete for regional and national championships in the short term. Jason looks to be involved in the Forge’s summer programs and continue to assist the Allegheny Rugby Union’s male select side program. The club’s XV’s season will begin in August 2018. 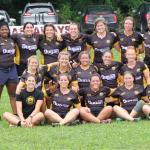 Any interested women are strongly encouraged to contact the club at PGHForgeRugby@gmail.com. The Pittsburgh Rugby Club and Pittsburgh (Westmoreland) Highlanders Rugby Football Club are extremely pleased to announce the merging of their clubs effective June 1, 2018. 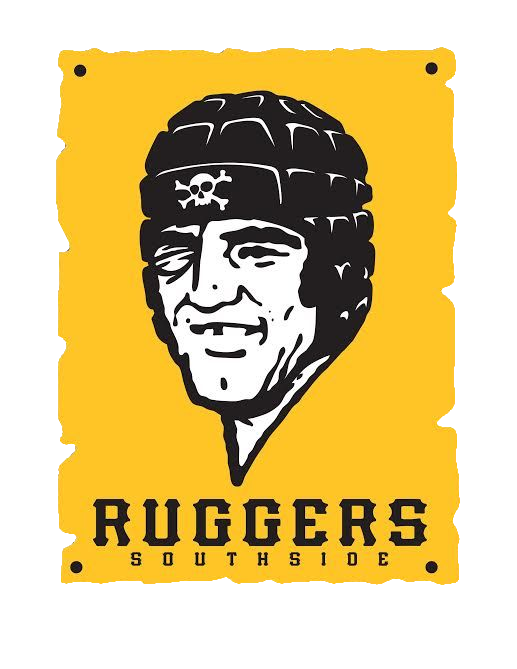 This merger will bond Pittsburgh’s oldest and largest rugby club with one of the area’s most successful clubs in recent years to form an all new rugby organization. 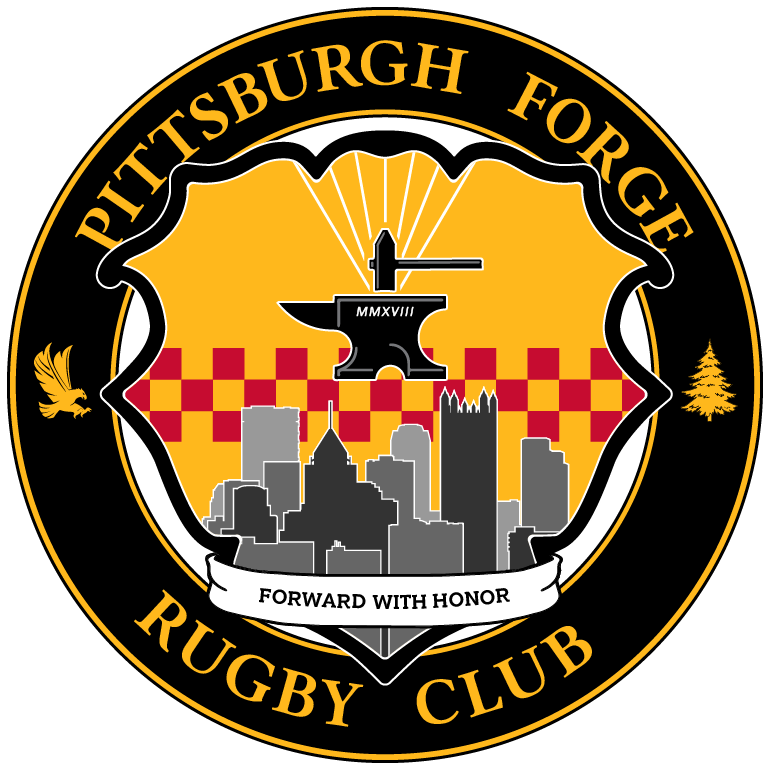 The Pittsburgh Forge Rugby Club (PFRC) will feature two (2) men’s sides competing at the Midwest Competition Region’s Division II and Division III levels as well as a women’s side that will compete at the Midwest CR’s Division II level. While the club will feature Pittsburgh’s traditional colors of black and gold, both clubs found it best to create a brand new organization that offers competitive playing environments for men and women in the city, regardless of level or ability. The club has plans for future growth in both the men and women’s competition levels. 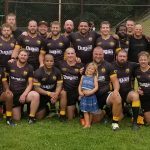 The Pittsburgh Forge has been granted 501c3 charitable status and plans to give back extensively to the local rugby community. As a federally recognized non-profit, donations to the club may be tax exempt and will be used to support youth, high school and collegiate programs throughout the Pittsburgh area. It is the goal of the Pittsburgh Forge to not only become the premier destination for senior rugby talent in Western Pennsylvania, but to also give back to the community that supports our club by fostering rugby programs at the grassroots level. Please stay posted for more exciting announcements from the Forge as we move through the summer and into the fall season, where the club will be playing its inaugural league schedule. 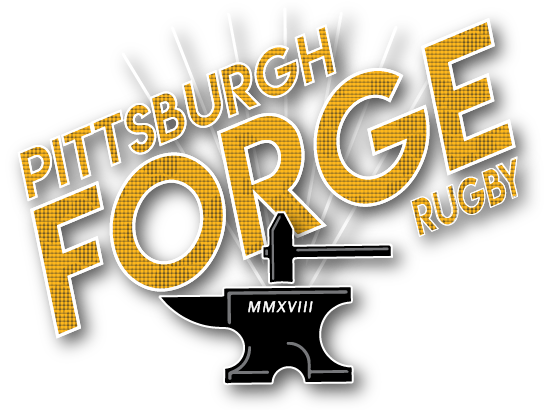 If you have any questions in the meantime, or are interested in joining or supporting the Forge in any way, please contact us via e-mail at PGHForgeRugby@gmail.com.